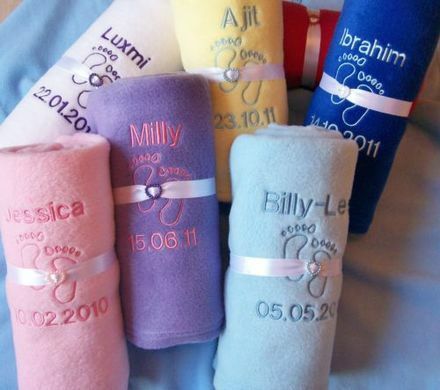 We are about to embark on manufacturing baby and children's fleece blankets for prams, carrycots, cribs & cots. However, there are so many colours to choose from, none of us in our office can decide (more agree) which to pick. We were thinking along the lines of colours to match up to all the latest buggies & nursery furniture. There is everything from black, white & cream to baby blue, baby pink, teal, lime green, orange, ludo spots, animal print, neon green, lilac, orange, yellow, red, hot pink, cerise etc. etc. We'd love to hear from you all then maybe we can decide which colours & designs to add to our range of baby fleeces and blankets. We will also be offering a customising service to our range of fleeces.